Dr. Staats, a co-founder of electroCore, has been on the board of electroCore since its inception. He was the founder of the Division of Pain Medicine at Johns Hopkins University, where he was the director for 10 years. Dr. Staats is internationally recognized for his work in developing and implementing minimally invasive procedures for chronic pain, and his patents have led to the use of novel pharmacologic agents (Qutenza patch). Dr. Staats received his medical degree from the University of Michigan Medical School in Ann Arbor and completed his residency and fellowship training at the Johns Hopkins University School of Medicine. He is a past President of the North American Neuromodulation Society, American Society of Interventional Pain Physicians, New Jersey Society of Interventional Pain Physicians, and the Southern Pain Society. He is currently Chairman of the Board of Examination of the World Institute of Pain and continues to serve as Chief Medical Officer for National Spine and Pain Centers, the largest pain practice in the United States. Dr. Staats has written or co-edited 10 books and over 300 articles, abstracts, monographs, and book chapters on pain medicine in publications that include the Journal of the American Medicine Association, Pain, Anesthesiology, and the Journal of Clinical Oncology. His work has been highlighted on Good Morning America, CBS Evening News, Newsweek, and CNN. He has lectured extensively nationally and internationally. He has received numerous awards including physician of the year from the New York, New Jersey, and West Virginia branches of the American Society of Interventional Pain Physicians; Best Doctors in America, Top Doctors, and New Jersey Top Doctor; and the Raj Award for Excellence from the American Society of Interventional Pain Physicians. Neal Howard: Hello and welcome to Health Professional Radio. I’m your host Neal Howard, glad that you could join us. Our guest Dr. Peter Staats, he’s the Co-founder and Senior Executive Advisor of Medical and Government Affairs at electroCore. He’s joining us here on the program to talk about some new survey results that revealed a significant under utilization of non drug treatment options for migraine among female patients. Welcome to the program Dr. Staats, thank you for taking the time. Dr. Peter Staats: Neal, thank you for having me. Neal: Well a brief background about yourself, other than electroCore co-founder. Dr Staats: Well yeah, I was originally the founder of the Division of Pain Medicine at Johns Hopkins University and I’ve been involved in the field of pain and neuromodulation for my entire academic career. I’ve spent a fair amount of time in an academic environment, a fair amount of time as a private practitioner treating patients and then I also was a previous Chief Medical Officer and on the Board of Directors previously at electroCore. I’ve been president of a number of the pain and neuromodulation societies and really thrilled to be here with you today to talk about neural modulation and options for women who really absolutely a great opportunity to help with their migraine today. Neal: Now let’s talk briefly about migraine headaches. We’ve all heard about them, some of us may not understand what a migraine is. Some of us think maybe it’s just a bad headache but it’s a lot more complex than that. Dr Staats: Sure. 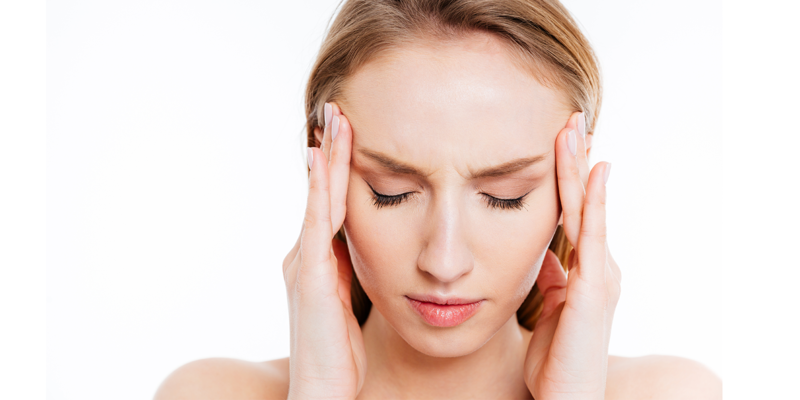 A migraine is a really a debilitating disorder which is characterized by either unilateral or bilateral severe pain in the head and this really can put people out of function and out of work, inability to go to work. It’s not like you suggest, right, you’re just indicating, it’s not a just a minor irritation. Most people with migraines find that they are unable to participate in work or school or other activities of daily living or family affairs, it really can be debilitating. It’s estimated that there are about 39 million people in the United States with migraines, three-to-one prevalence of women to men. And with that, the treatments have been somewhat limited to date. Neal: We’re here to talk about pain but there are also some other symptoms associated with migraine that add to that debilitating effect. Dr Staats: Sure, there can be both prodromal and as well as have symptoms while you have these migraines and it can be nausea, photophobia or really pain with lights. There can be … and other abdominal pain problems that occur with migraine so these are really kind of a significant problem in the United States. In fact, there’s estimated to be about a hundred thousand migraines a day occurring in the United States. Neal: Now you mentioned at the outset of our conversation, non-drug treatments for migraine in female patients. Would you talk about neuromodulation, I heard you mention neuromodulation – what is neuromodulation? Dr Staats: Yeah, no modulation is a field of medicine where we have really apply electricity or site-specific drugs to alter pain or diseases. So it’s been used more classically as people may think about with spinal cord stimulation for back and leg pain which has really become kind of commonplace today. But more recently, we’ve figured out ways of stimulating various nerves in the head and neck to turn off headaches and so really this neuromodulation field has been around for close to 25-30 years. It’s really a formal discipline within medicine. I was previously president of the North American Neuromodulation Society which considers the use of electricity, largely speaking, as a platform to understand how it affects release and we’ve made great progress in the last few years really in understanding how do we apply various electric fields that various parts of the body with various waveforms to modulate disease and it’s really kind of remarkable how far we’ve come recently. Neal: Is the pain, it’s not associated with an actual injury? There’s nothing that can be done to completely alleviate the migraine. We’re only talking about relief of the symptoms because the migraine is always going to be there. Is that a correct assumption or are we talking about long term treatment for migraine? Dr Staats: That’s a really interesting question. So the gammaCore™ device, which we worked on quite a bit at electroCore, is approved for the acute treatment of migraine and basically the symptoms are the headache and all the various aspects of this pain associated with migraine can be effectively treated and make it kind of go away in a significant percentage of patients. We do have data on cluster patients, that cluster is another type of headache that affects men more than women and with the cluster patients, we have data that demonstrates that if you use the device prophylactically, you can keep the headaches from coming in the first place. So whether or not we’re treating a disease, I personally believe that we are able to treat the disease because the disease is the pain and we can make that go away. So yes, you’re right that we can treat the symptoms but if you ask the patients what’s the main problem that you’re having, it’s these debilitating headaches and so I believe that we are treating what is the underpinning of these problems for a lot of people. Neal: A high percentage of patients seem to be very willing to undergo non drug treatment for their migraines. What would you say, in your opinion, is the reason why people don’t want to go to the non drug treatment side, whether patient or a healthcare provider? Neal: In wrapping up, do you feel that the steps that are being taken both in industry and in legislature to combat this opioid epidemic will greatly change the future of electroCore’s and the devices that you design there? Dr Staats: I do. I think we’re faced with two competing problems in the United States. The first is uncontrolled pain and the second is there is an opioid epidemic out there with close to 70,000 people a year dying from in some relation to an opioid. It’s not clear that they’re all from prescription opioids but there are large numbers of people dying and when you say “Okay, we have uncontrolled pain” and people with migraine do seek out opioids because they don’t know what else to do and then you have this problem of addiction and an opioid crisis as the government has termed it, what’s the alternative? And one of the main alternatives is the field of neuromodulation and for patients with migraines is non-invasive vagus nerve stimulation and I should just state when a lot of people think about neural modulation, they think of an implant. And what is so revolutionary about our therapy is that it does not involve sticking a needle into somebody it’s not involved surgery, it really is just a topically applied device that has a proprietary electrical field that stimulates the nerve in the neck. So we’re able to turn off some of these pains, we’re able to modify neurotransmitters in the brain just like drugs modified neurotransmitters in the brain. And so we now have opportunities to go to say “Okay, we’re going to treat the pain problem just as effectively, really we would have potentially with a drug but we’re not going to be using opioids. I’ll end with just indicating that the Health and Human Services has the Pain Task Force and the Pain Task Force is the government’s response to the opioid crisis, the … statements around what limitations who should have on opioids and very firmly within the Health and Human Services Pain Task Force comments about appropriate use of neuromodulation techniques and alternative strategies to help to control pain. So I think the government’s going to get behind this and I think they are behind this and I think that’s good for patients overall. Neal: Give us a website where we can go and learn more about electroCore. Neal: Well I thank you Dr. Staats for joining us on the program today. It’s been a pleasure, lots of great information and looking forward to our next conversation. Dr Staats: Neal, thank you very much. I appreciate it.